In finance, a bond is a type of debt security. Bonds can be a long-term investment held on to until the bond matures (expires), but they can also be purchased for more short-term trading purchases. There are quite a lot of bonds listed at exchanges and the assortment includes both corporate bonds and bonds issued by public entities. Bonds can also be traded over-the-counter (OTC). Bonds traded on exchanges are highly standardized. Traditionally, bonds have been seen as one of the three main generic asset classes, with the other two being stocks (equities) and cash equivalents. Municipalities (or similar). Within this category, we find cities, towns, school districts, and more. In a federation, bonds issued by any of the federated units (states, provinces, etc) will also typically be seen as belonging to this category. The issuer of a bond is in essence an entity in need of a loan. A corporation can need money to fund research, a government can need money to fund a war and a municipality can need money to fund the construction of a local airport, and so on. So, rather than “buying” a bond when it is issued you are actually lending money to the bond issuer. The issuer receives money that can be used to fund expenses, but when the bond reaches its maturity date the borrowed money must be paid back to the bond holder. The holder of a bond is a debt-holder, also known as creditor, of the issuer. Since most people are unwilling to just lend money without getting something for it, the bond issuer will typically promise to pay interest for the duration of the bond. The interest can be fixed or variable. For some bonds, the monthly, quarterly or yearly interest payments for a series of bonds are pooled and then raffled out among the bond holders. When a bond is issued, the price is usually set at par value, i.e. the maturity value of the bond. This is also known as nominal value or face value. When the bond expires, this is what the issuer of the bond must pay the bond holder. The par value can be any amount. In the United States, $100 bonds and $1,000 bonds are among the most common ones. The bond document will also contain information about interest payments – how their size is determined and when they are made. Interest payments are normally expressed as an annual percentage of the par value. 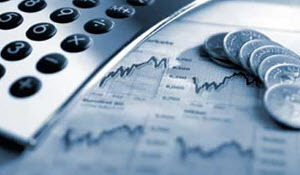 The annual interest rate paid on a bond is known as coupon rate or nominal yield. Example: A bond is issued where the par value is $1,000 and the sales price (issue price) is $1,000. The coupon rate is 4%. The coupon dates are the first Monday in February each year, until the bond expires. You purchase this bond for $1,000 (the issue price). As long as you are the owner of the bond, you are entitled to $4 in coupon payments on the first Monday in February each year, until the bond expires. When the bond expires (maturity date), the issuer must pay the holder of the bond (you) $1,000. If the holder of a bond decides to sell the bond before it has expired, the price will be determined by the market, and can be at, above or below par value. How much someone is willing to pay for a bond will typically be determined by a number of factors, such as the par value, the credit rating of the issuer, how much time that is left before the bond expires, and the interest rate level (coupon rate level) for the bond. How beneficial the interest rate level will be seen will largely depend on the general interest rate environment at the time, e.g. how much interest that is paid for money sitting in a standard bank account, and so on. Example: A bond was issued where the par value is $1,000 and the sales price (at issue) is $1,000. The coupon rate is 4%. The original owner of the bond payed $1,000 for it, but is now willing to sell it for just $900. When you buy it for $900 you are buying the bond below par. This will not impact the coupon rate. As the new holder of the bond, you are entitled to $4 in coupon payments each year. The maturity date is the date when the bond issuer has to pay back the loan, i.e. pay back the par value of the bond to the bond holder. Some bonds will take decades to reach their maturity date from the day of issue, while others mature within a day or even less. It is therefore always important to check the maturity date before purchasing a bond. The market for bonds with a maturity date far away into the future tend to be less liquid than the market for bonds that will mature fairly soon. This means that if you for instance have a bond that will mature in 25 years from now, you may find it more difficult to encounter someone willing to buy it, especially if you aren’t willing to go down in price. To make people interested in long-term bonds despite this, issuer of long-term bonds will normally give these bonds a comparatively high interest rate. For people looking for long-term investments that provide a fixed annual income and who do not plan on selling their bonds in a rush (or at all), they can be attractive investments. A zero-coupon bond does not pay out interest (coupon payments) to the holder. Instead, these bonds have an issue price that is lower than the par value.Example: The issue price for the bond is $1,000. The par value is $1,200. The maturity date is three years from the date of issue. The bond holder will receive no interest payments during the lifetime of the bond, but on the maturity date, the holder of the bond will receive $1,200 which is $200 more than the original purchase price. For a zero-coupon bond, the market price tend to get closer and closer to the par value of the bond as the maturity date approaches. With a callable bond, the issuer can call back the bond from the bondholders before the maturity date. Most callable bonds pay a premium to the holder if they are called back, which means that the holder will receive more than the face value of the bond. 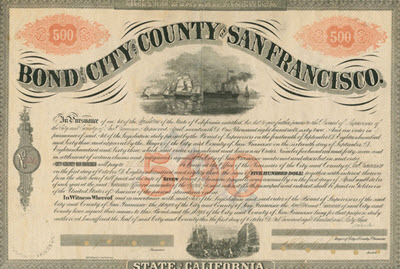 A callable bond is also known as a redeemable bond.The reason why an issuer elects to call back a bond, even when it means having to pay a premium to the bond holders, is usually that the issuer have reason to believe that it can borrow money at a lower interest rate than the coupon rate of the bonds. Calling back the bonds is a way for the issuer to refinance debt. Sometimes, the issuer simply calls back the old bonds, pay the premium and then refinance by issuing new bonds with a lower coupon rate. Convertible bonds are bonds with an embedded call option that gives the bond holder a right, but not an obligation, to convert the bond to stock (equity). A GDP-linked bond is a bond where the coupon rate is linked to the Gross Domestic Product (GDP) of the issuing country. The higher the GDP goes, the higher the coupon rate payed by the issuer to the bond holder becomes. If the GDP goes down, the coupon rate goes down.Prior to purchase, it is important to find out if the bond is linked to real DGP, nominal DGP or aspects of both measurements.